I made these keto snacks for the Superbowl but they would be perfect for any occasion. They are really easy to make and serve as perfect finger food at a party or as a side to a meal. Each package of smokies includes 40-45 wieners. 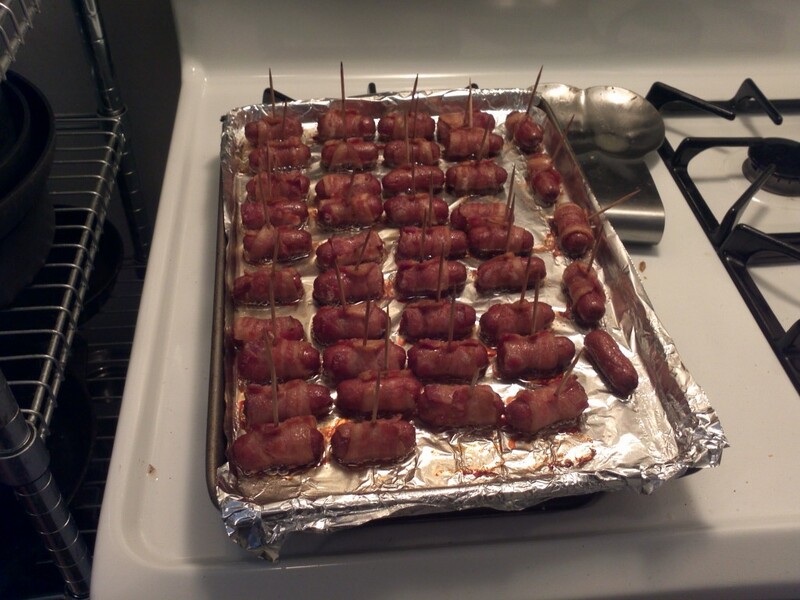 One piece of bacon can wrap 3-4 wieners. I would test with one strip because not all bacon is created equal. 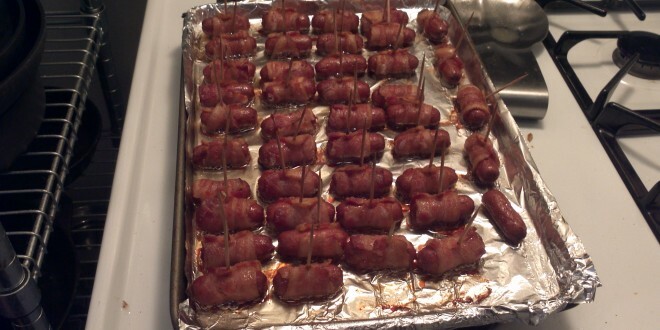 With my bacon I could fit four wieners on one piece so I just cut a bunch of bacon in half and then in half again. Then you just wrap with bacon and you’re done! Im going to making these this weekend for the carb count should I just go off the serving information from the little weenies?? Yeah I would always use the carb counts from your specific ingredients because they might vary from what I used.